What is Digital Marketing & How Can it Help My Business? Any smart business owner knows how marketing plays into the company’s success. As a way to draw in new customers and boost sales, marketing has been a crucial component of any business strategy for decades. But with today’s technology, it’s necessary to switch up those traditional business strategies. In the past, buying commercial time or putting advertisements in the newspaper were enough to bring in new business. But as more and more of our customers are turning to the internet for their news and streaming services for their television, it’s getting harder and harder to get your advertisements in front of the right audience. So where should you turn when traditional marketing no longer works for your company? You need to turn to digital marketing. The biggest difference between digital marketing and traditional marketing is that digital marketing is done primarily online. Rather than attempting to put your advertisements in front of your target audience on cable, in newspapers, in magazines, or through flyers, digital marketing uses the online platforms your company has to send similar messages. The digital marketing avenues that you use will depend on your target audience and where they can be found. This means that your digital marketing strategy can vary immensely depending on what platforms your target audience uses and what kind of things they interact with online. While many companies will choose to take advantage of each of these platforms, those that your target audience are not found on can be passed over. If your target audience does not use that platform, you shouldn’t waste energy or time creating campaigns for that platform. How Does Digital Marketing Differ from Traditional Marketing? Aside from the placement of the ads, digital marketing and traditional marketing are actually quite different. While you will still use your platforms to encourage your audience to make purchases and connect with you, digital marketing puts much more control into the hands of your readers or viewers. Think back to the way traditional marketing works. When you purchase a commercial slot or an advertisement space in a newspaper or magazine, your audience cannot control which advertisements they see. While they can change the channel during commercials or flip through the advertisement pages in print, they are unable to pick and choose which advertisements they interact with. However, with digital marketing, audiences can pick which marketing components they interact with and which they don’t. They can select how they would like to consume your message, be it from blog post, social media post, or video. The audience gets to dictate how they like to take their marketing. But this idea also changes the content that you deliver through digital marketing. Because your audience now has all of the control, you can’t throw an advertisement in their face and hope they will connect with your message. Instead, you need to find a way to get your blog posts, website, social media posts, and more in front of them at the right time. The message that you share through digital marketing should not be “buy, buy, buy.” While this may be your ultimate goal, because the audience is able to control the marketing they interact with, they will need to find some type of value in visiting your website, reading your blogs, or signing up for your email list. 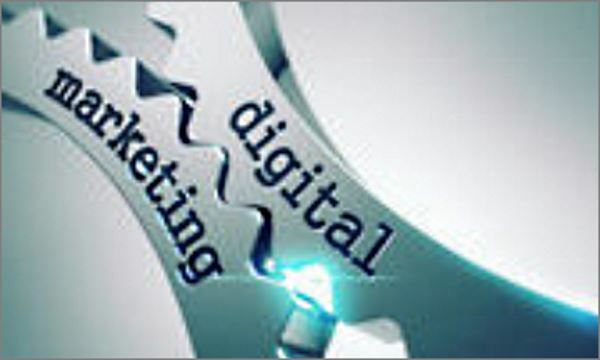 Digital marketing brings many benefits that traditional marketing cannot. Aside from being more modern, digital marketing also creates a different connection between you and your customers. Let’s take a look at three key benefits that digital marketing can bring. Anytime you want to create a marketing campaign through a traditional avenue, you need to purchase a space to do so. This can make it increasingly expensive to spread your message to a variety of people. But with the internet, you already have a space. If you want to send an email promotion, post a message on social media, or post more information on your blog, you already have the space to do so. Consider what happens when you run a commercial. The commercial plays in the slot you purchased, but when it ends, your viewer will be unable to return to view the message again, share it with their friends, or get more information. But when you create a similar video and post it online, your viewer can return to it as often as they would like. If they want to share it with their friends or family, they can simply send a link. As we talked about earlier, the purpose of digital marketing is to get your information in front of your audience at the right time. Most of this is done by answering questions, providing relevant content, and helping them solve a problem. With digital marketing, you’re building trust before a purchase is made. By helping your audience through the process of determining a problem and solving the issue, they will trust you can help them with problems in the future. This can help foster strong relationships and create returning customers. As more and more business is done online, the need for digital marketing continues to grow. With technology developing to cut commercials, reduce ads, and improve the experience of users, we need to develop marketing strategies that fit into the changes that are made. With digital marketing, you and your company are able to do that in a much more efficient and practical way. Building a digital marketing strategy that allows us to Reach the Right People, on the Right Channel, in the Right Place and at the Right Time… Is what we are after!